Florina - Flevo Berry B.V.
Florina is an everbearer with excellent characteristics. Florinas vigorous growth produces a high yield. It develops quickly and starts production early. In the right growing conditions, it is even possible to harvest from the winter flowers as early as May/June. The colour of the fruit is similar to that of Elsanta and will not darken during storage. The fruit are conical in shape and the brightness of the colour remains even after harvesting. Florina is the second variety from the Flevo Berry breeding programme in the everbearing Elsanta-type segment. Florina is a generative variety and grows well, given the right soil and temperature conditions. It needs to be planted in fresh soil. The structure of the soil needs to be in a perfect condition and free of wet spots. Florina can be grown both on raised beds and in open fields. In substrates it can be grown with quite a high plant density, but it is important to strike a balance between the growth of the leaves and the fruit. The higher the plant density, the earlier it will be necessary to start pruning the leaves. Early plantings are viable, but the soil temperature must be at least 7-8 °C. In spring, the temperature must be at least 12 °C and climbing, otherwise the plants will have to be covered. Unlike most other varieties, Florina needs to be planted quite shallowly. The rhizome of the plants should always be free from the soil. On table tops we recommend 6 -8 plants per metre with frigo plants. With intensive substrate cultivation, the harvest will start as early as May/June and will continue – after a slight dip – in July and August. More extensive soil cultivation, where the winter flowers are removed, starts at the beginning of July. The flower stems are long and spread out, making the fruit very easy to pick. The plant will produce large flowers, which will lead to large fruit. Florina produces new trusses quite easily, enabling the plant to remain well balanced. The colour of the fruit is similar to that of Elsanta and will not darken after storage. 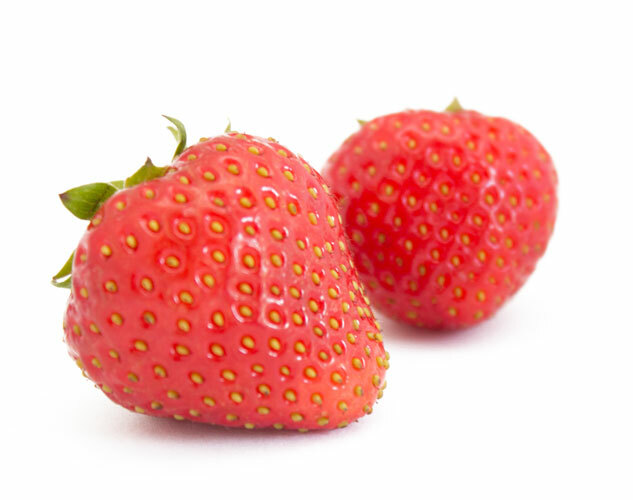 The fruit have a fresh flavour and are very suitable for supermarkets.